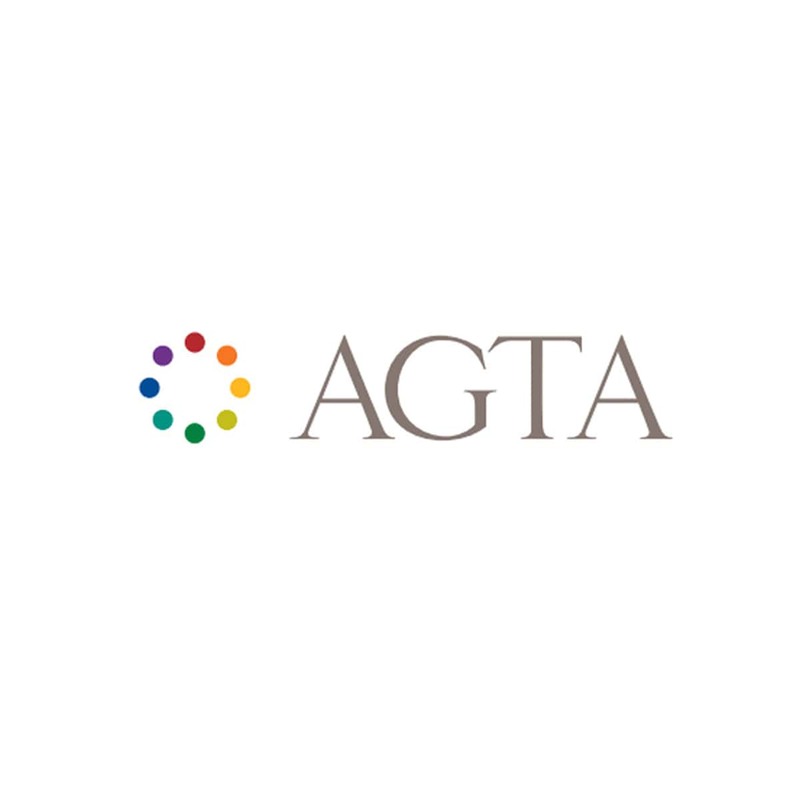 At the AGTA 2012 Spectrum awards, the American Gem Trade Association recognized Adam Neeley with the honor of 2nd place in the category of Evening Wear for his ring titled “Di Lusso”. 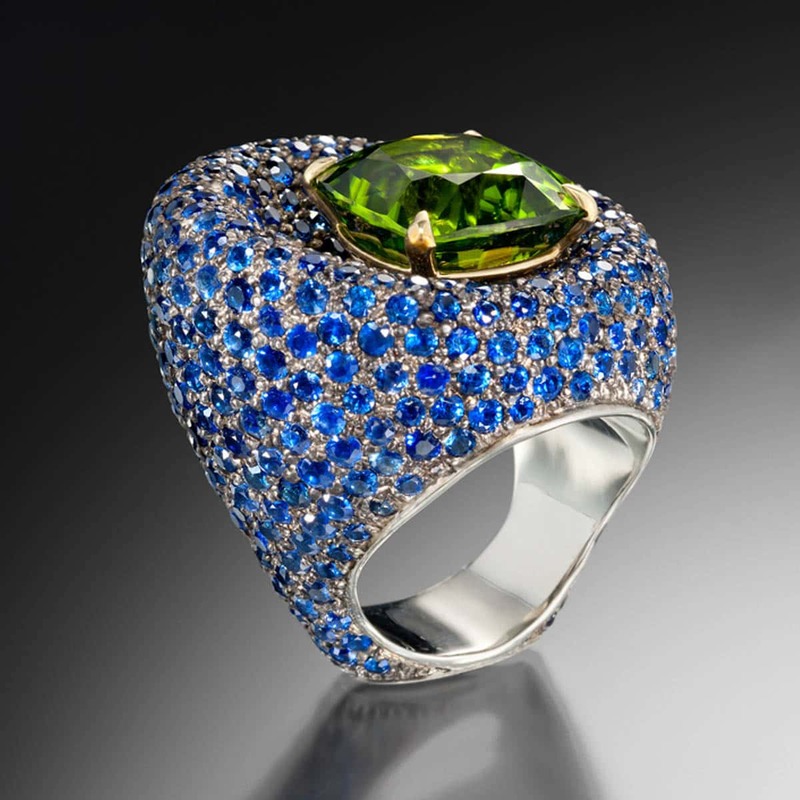 This design features a peridot surrounded by sapphires. Pictured left are images from the AGTA Spectrum Award photo shoot with actress Regina King, from TNT’s Southland. 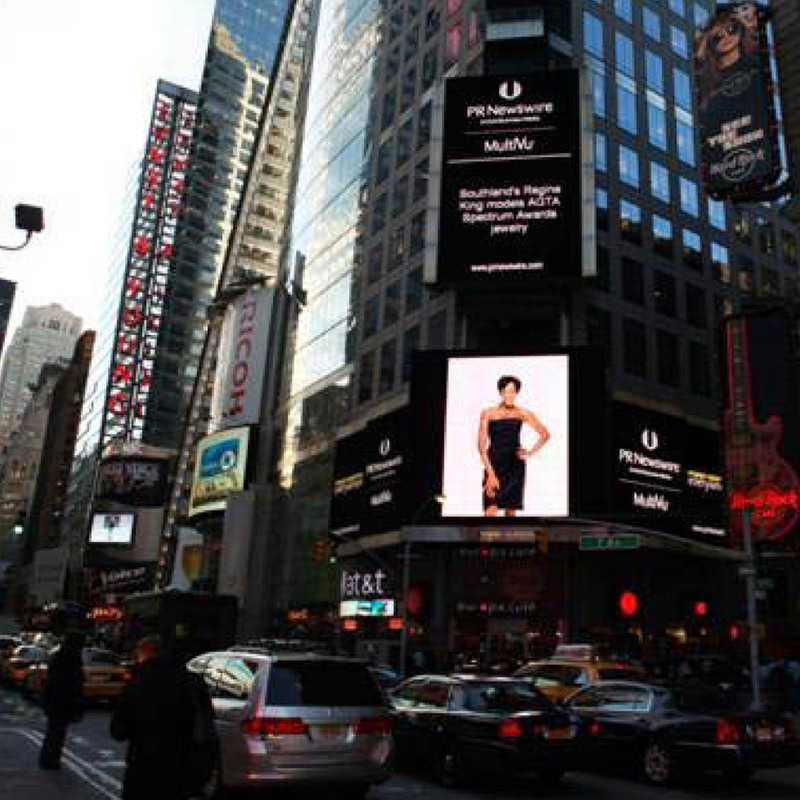 These fabulous photos were a part of over 266 press placements thorughout the world including the Reuters board displayed in Times Square.